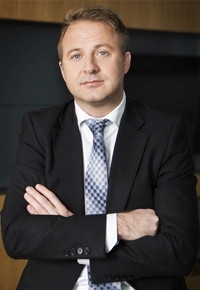 Management Board of Celon Pharma S.A.
Dr Maciej Wieczorek - President of the Management Board at Celon Pharma S.A. He has many years of experience in the pharmaceutical sector. Maciej Wieczorek has held managerial positions in pharmaceutical companies, where his responsibilities included i.a. development of product strategies, as well as research and development of new formulations. In 2002 he created from scratch a modern and dynamically developing research and development company – Celon Pharma S.A. He is the author of several patents used in the pharmaceutical sector, as well as of successful implementations of drugs. He currently also holds managerial functions in other bio-pharmaceutical entities, e.g. : Mabion S.A., i.e. a Polish public company developing technologies for the creation of monoclonal antibodies. He graduated from the Department of Mechanical Technology at the Warsaw University of Technology, the Industry Organisation and Management faculty. In 1999 he graduated from management studies run under the Warsaw Executive MBO programme, organised jointly by the Warsaw School of Economics and the University of Minnesota (USA). In 2008 he received the title of Doctor of Medicine at the Medical University of Lodz (in the field of medical biology). Bogdan Manowski - Director for Business Development, Member of the Board at Celon Pharma S.A.
A manager with many years of experience in the pharmaceutical sector. In the years 1997-2001 he worked with Eli Lilly Polska Sp. z o.o., a pharmaceutical company with its registered seat in Warsaw. After that, in the years 2002-2006 he worked at the Commercial Information Department at GSK Commercial with its registered seat in Warsaw. Since 2006, Bogdan Manowski has served the function of Director for Business Development at Celon Pharma S.A. He has higher education – in 1997 he obtained his master's degree at the Warsaw School of Economics (specialisation – Finance and Banking). In 1999 he passed the examination for candidates to supervisory boards of companies owned by the State Treasury. 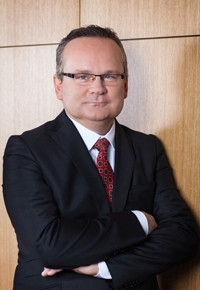 In 2008 Bogdan Manowski completed postgraduate management studies (MBA) organised by the International Management Centre of the Warsaw University. 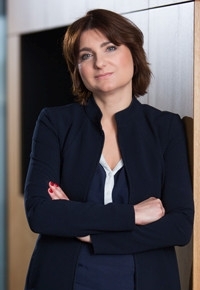 Iwona Giedronowicz - CFO, Member of the Board at Celon Pharma S.A. In the years 1997-2001 Iwona Giedronowicz held the position of Head of Accounting at Finanspol. After that, she was chief accountant at Tebodin Poland Sp. z o.o. with its registered seat in Warsaw (2005-2010), chief accountant at Celon Pharma Sp. z o.o. (in the years 2010-2012) and chief accountant at Celon Services Sp. z o.o. in 2012. Currently, Iwona Giedronowicz performs the functions of Member of the Board at Celon Pharma S.A. and is the Company's CFO. She has higher education – in 1999 she graduated from studies at the Faculty of Economics, Finance and Accounting at the University of Warsaw. Iwona Giedronowicz has been entered in the list of tax advisers maintained by the National Chamber of Tax Advisers in 2007.